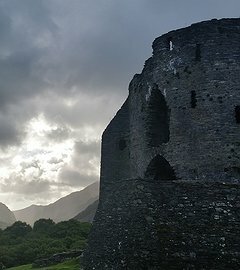 After constant conflicts with the Welsh Princes of Wales, King Edward I invaded Wales and set about an extensive castle building programme - aimed to subdue the Welsh. 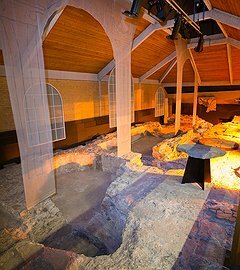 The visionary architect Master James of St George was given the task to design the castles, and 10 fortresses were built in just over 20 years. 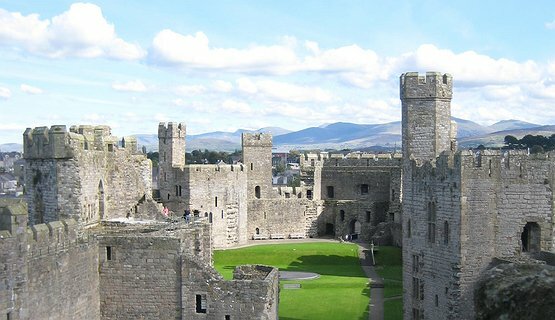 The most significant castles with their ground breaking designs are the ones you will see on this tour, now part of a World Heritage Site. 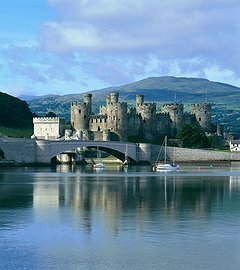 • Visit Conwy, its castle with two fortified gateways and eight enormous towers situated in a spectacular scenic setting above the River Conwy estuary. 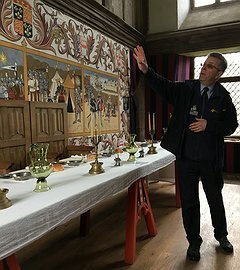 Optional highlights guided tour included. Walk around the walled town to see views over the estuary and the two bridges of note - Thomas Telford’s Conwy Suspension Bridge and Robert Stephenson’s Tubular Railway Bridge. Also see the smallest house in Britain. 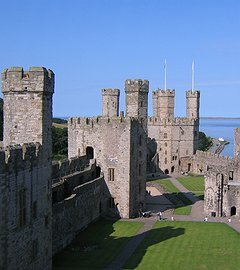 • Continue onto Caernarfon, to see the castle built as Edward I’s headquarters in Wales, with its most impressive design of polygonal towers and banded masonry. 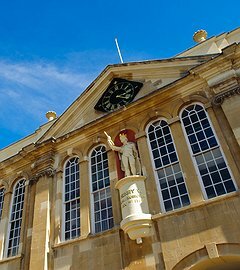 Said to be the place where the first English Prince of Wales was born, it is now important as the place where the current Prince of Wales’ investiture was held in 1969. Optional highlights guided tour included. Take a walk along the waterfront to see the views across to Anglesey and pass through the arches of the gateways designed to keep the Welsh outside the town. Have lunch in one of the many cafes in this old walled town. • Finally spend the afternoon in the beautiful town of Beaumaris on the island of Anglesey. This attractive moated castle, is a great unfinished masterpiece, as money and supplies ran out. 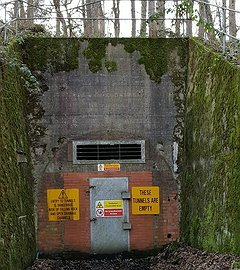 However it is the most technically perfect castle in Britain with perfectly symmetrical concentric ‘walls within walls’ design. Optional highlights guided tour included. 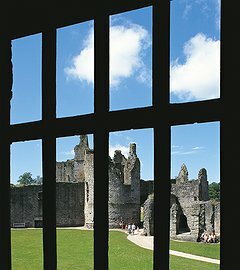 Whilst here see the Old Courthouse, the Gaol and admire the Menai Straits and view of the mainland from the Pier. Please note that only the guiding fee is quoted. All you need to do is provide the coach or minibus with a working microphone.